This record was made by some pretty heavy German teenagers in the early part of the 1970s. I have recently been quite fascinated with that decade, as it seems like it was a pretty weird time to be alive. Sometimes there is nothing to be done except make a heavy psych record with plenty of organ, apparently. I wholeheartedly approve. This was another record that I got turned on to whilst working at Midnight Records. Really amazing stuff here. This is a reissue but who can afford originals in this economy? 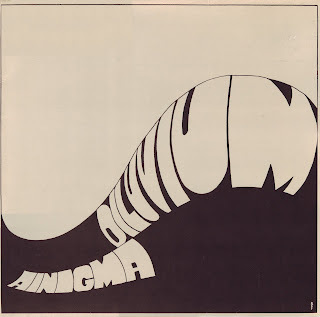 Ladies and gentlemen, for your listening pleasure, Ainigma. Great record. It's a huge shame Amber Soundroom finished. Did you get the Kaputter Hamster re-issue? I'm really enjoying your taste! I like the almost sloppy approach these kids take (the wavery tempos really make me happy). Proto Religious Knives (kidding)!